When most people think of Wyoming, they imagine geysers and grizzlies in Yellowstone, not data centers and high-tech cryptocurrency. However, the latest in blockchain news and blockchain regulation might reshape the state’s future. Wyoming is leading the way for blockchain cryptocurrency legislation. A grassroots group called the Wyoming Blockchain Coalition has put forth a package of legislation that would greatly impact blockchain stocks in that state by building off legal precedent. Two aspects of Wyoming law that appeal to the blockchain industry include zero corporate income or franchise taxes and stringent privacy laws governing LLCs formed in the state. 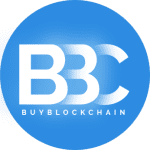 This proposed legislation would impact blockchain news and blockchain stocks globally; a company would not need to be physically located in Wyoming to take advantage. That said, the state’s capital, Cheyenne, is still an ideal location for a blockchain business to locate its headquarters as the city offers cheap power and excellent fiber optic bandwidth. Supporters of the legislation package, or parts thereof, include Wyoming State University and the Speaker of the House. In particular, bill HB0070 was co-sponsored by the Speaker of the House as well as other legislators. This bill is of interest to those following blockchain news or who want to buy blockchain cryptocurrency because it exempts tokens issued on an open blockchain from Wyoming’s money transmitter and securities laws, provided the token has not been marketed as an investment and is exchangeable for goods or services. The local media coined the term “Bitcoin Bill” in blockchain news for an additional legislative document drafted in Wyoming. Bill HB0019 proposes to exempt virtual currencies from Wyoming’s money transmitter laws which would allow businesses that pulled out of Wyoming previously, such as Coinbase, to return to the state. As a result, if the legislation passes, an emerging and fast-growing new sector based on blockchain would be added to Wyoming’s financial industry. 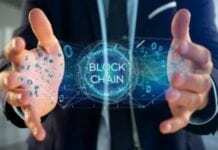 Meanwhile, the so-called “filings bill” seeks to take advantage of using blockchain not for cryptocurrency, but, for filing and eliminating paperwork. The bill would allow the Secretary of State to collect registrations on a blockchain including the filings made for corporations, LLCs and UCC financing statements. Eventually, this will allow the government agencies and independent businesses to eliminate far less secure paper trails such as deeds, titles, and receipts. Wyoming’s state regulation and laws regarding blockchain will allow for LLCs to register on a blockchain. The state has long been proactive regarding LLC related legislation since it was the first in the nation to pass an LLC law in 1977. By progressing further now with current blockchain related legislation, Wyoming could attract significant financial gains as statistically, about two thirds of all new American businesses are LLCs. The state’s potential for lax regulation of blockchain related enterprises as well as its implementation of incentivizing LLC laws also means new, tech-driven businesses may be drawn to Wyoming in the future. New types of LLCs such as those based in Internet of Things devices like self-driving cars tend to prefer blockchain-based registration for its efficiency and security. Although Wyoming will always remain famous for its incredible outdoors experiences and natural beauty, the state’s new legislation related to blockchain regulation and cryptocurrency could pave the way for a high-tech future in the state as well as impact blockchain stocks and blockchain news around the world. Click here for more details about Wyoming’s blockchain legislation.